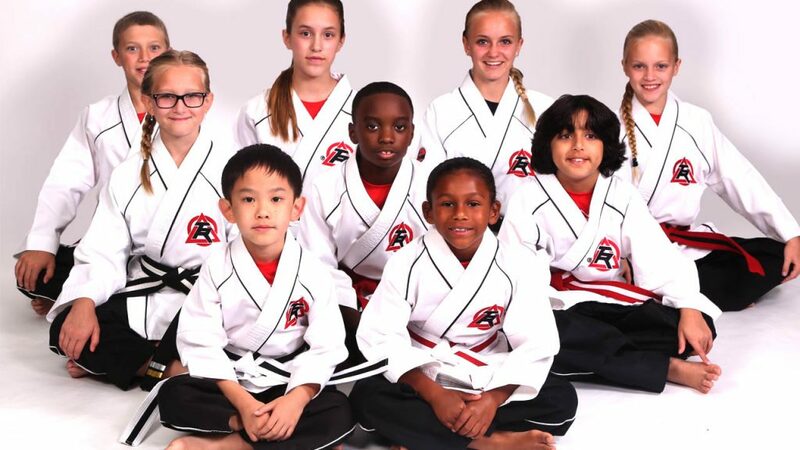 Your child will build self-confidence, respect, and self-discipline when taking Tiger-Rock’s kids martial arts classes in Texas. Our martial arts classes are a constructive way to keep kids active and healthy. The skills that they learn at the academy will be beneficial to them not only on the mat, but most importantly, in life. 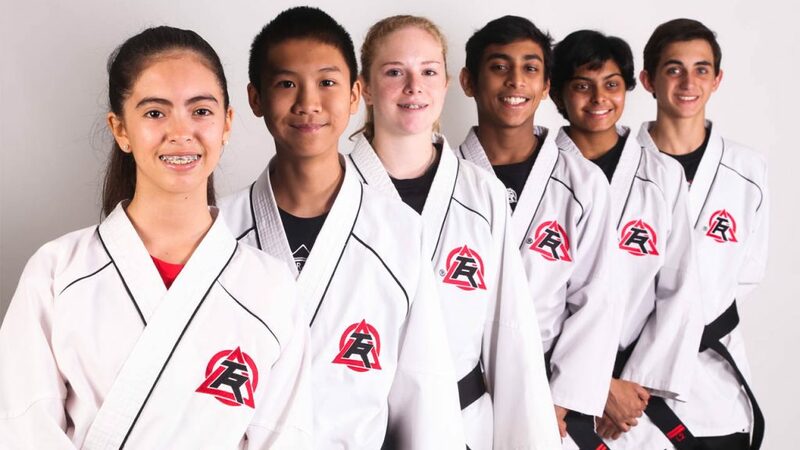 Our kids martial arts and teen martial arts programs are focused on development. Our curriculum is age-appropriate with a distinct program for each age group. Our early development Tiger-Cubs program is for pre-school and kindergarten students. Our Junior program is for elementary school kids. Our Teen program is for middle, intermediate, junior high and high school students. Tiger-Rock students learn the value of good citizenship and honorable leadership. Our lessons instill self-discipline, self-confidence, and respect for authority. We have various character building activities that will help your child grow on and off the mat. 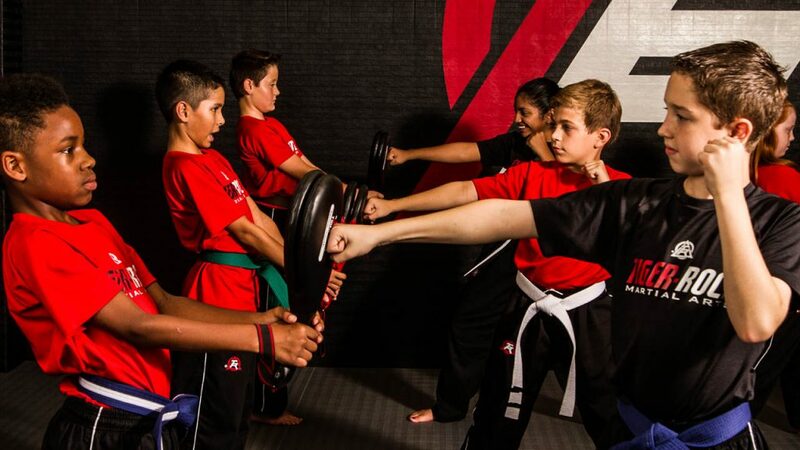 Our Texas kids martial arts classes feature striking drills, kicking drills, blocking drills, form exercises, as well as core strengthening exercises. We also prove essential life skills education, anti-bullying education, and self-defense training. These drills and exercises help your child become more fit, focused, and confident. Students that are 4, 5 and (some) 6 years old will be enrolled in our Tiger-Cubs Program. This program serves as the early childhood training curriculum at Tiger-Rock. Students will learn symmetrical movements and lay the foundation of balance and coordination. Tiger-Cub lessons are some of the most exciting and fun 30 minutes your child will enjoy in his or her day. Students that are 6 to 10 years old (11 years old at some locations) will be placed in our Junior Program. The Junior Program builds self-esteem, self-confidence, and self-control. Our drills and exercises help channel positive energy. In addition to speed and agility drills, martial arts exercises, and kicking, sparring, and striking drills, Junior students also learn real world self-defense and participate in anti-bullying education. These fun, action-packed classes usually last 40 to 45 minutes. Our 12 to 15 year olds (11 to 15 year olds at some locations) are placed in the Teen (Youth) program. Tiger-Rock recognizes that these are the most important years of a young person’s life. That’s why we designed our curriculum to focus on positive influence, strong character, and leadership. In our rewarding environment, teens learn the benefits of functional fitness training and responsible citizenship. 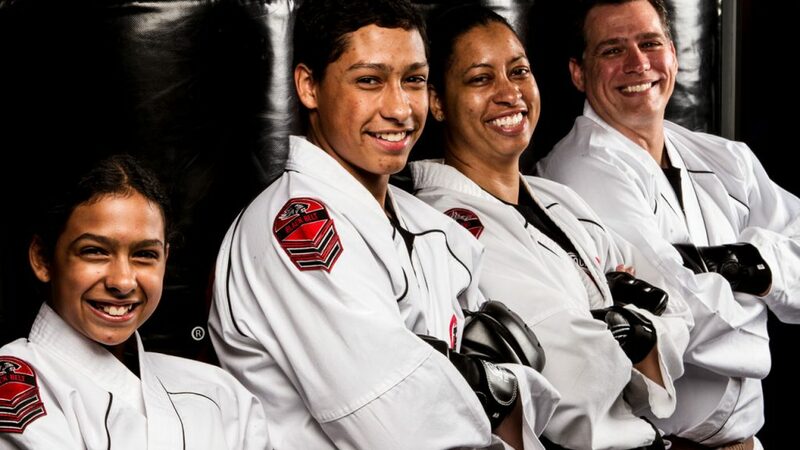 Teen classes include exercises, kicking drills, striking drills, sparring drills, and speed and agility drills. These high energy teen martial arts lessons last 40 to 45 minutes. Our Texas kids martial arts classes are held in the afternoons as the perfect after-school activity. Tiger-Cub classes are held three to four times a week (depending) on location in the late afternoon right after school is dismissed. Junior classes are held in late afternoon and early evenings. Teen classes take place in late afternoon, early evening, and mid-evening. With Tiger-Rock, kids have unlimited attendance privileges and multiple training opportunities per week. Interested in learning more Kids Martial Arts? Ready to begin your transformation? Choose from one of our 20 locations across Texas to Get Started today.